I made some into Thin Mint Cupcakes! 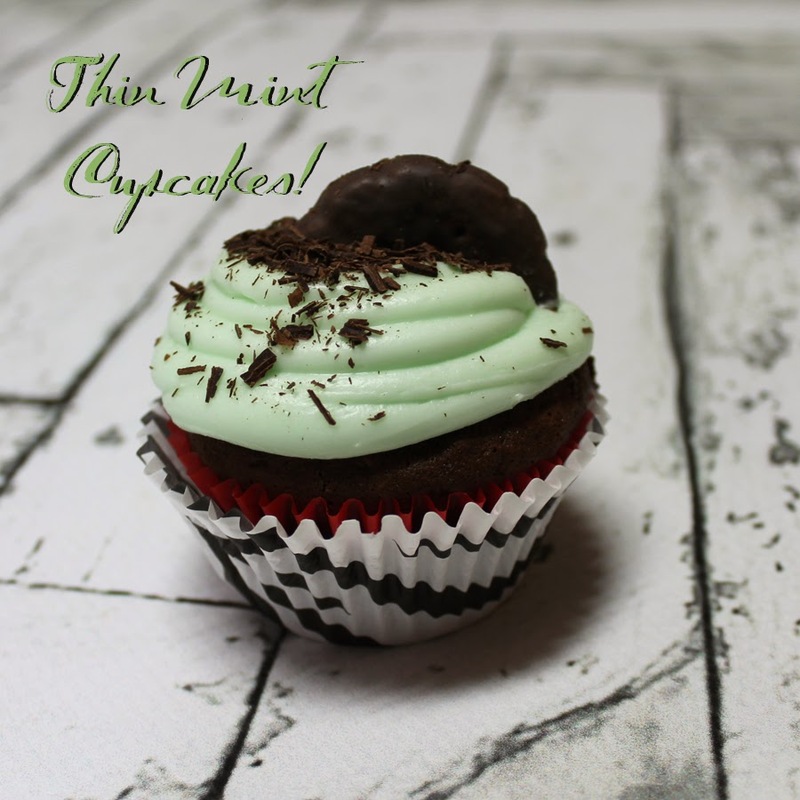 Put a thin mint in the bottom of every cupcake paper. Filled 2/3 full with cake batter. I used cream cheese, powdered sugar and a little milk to make frosting. With about 5 drops of spearmint oil for a subtle minty flavor. And...colored it light green so it would look like toothpaste! Stick a cookie in the top too! to make little shavings for garnish. I used these cupcake stands from The Oriental Trading Company. They are super cute--Great for a party! They come in 2 pieces and the top clicks into the base. The plastic is thin and lightweight, but sturdy. I plan on using these for the next party...one at each place for a dainty little dessert! You are a genius. These are amazing! Will be making some, after I get my hands on some Thin Mints. They're may favorite kind of cookie. Ahhh these look so yummy !